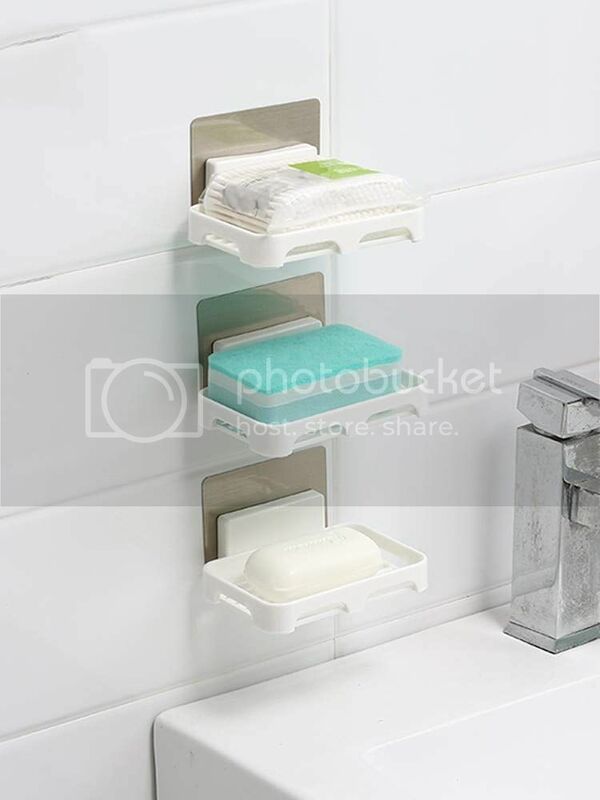 Kitchen Soap Holder Can Be Installed Anywhere to Organize Your Kitchen Sink Tools, Sponges, Scrubbers, Household Cleaning Supplies, Bathroom Accessories, Toiletries and even Your Cosmetics. 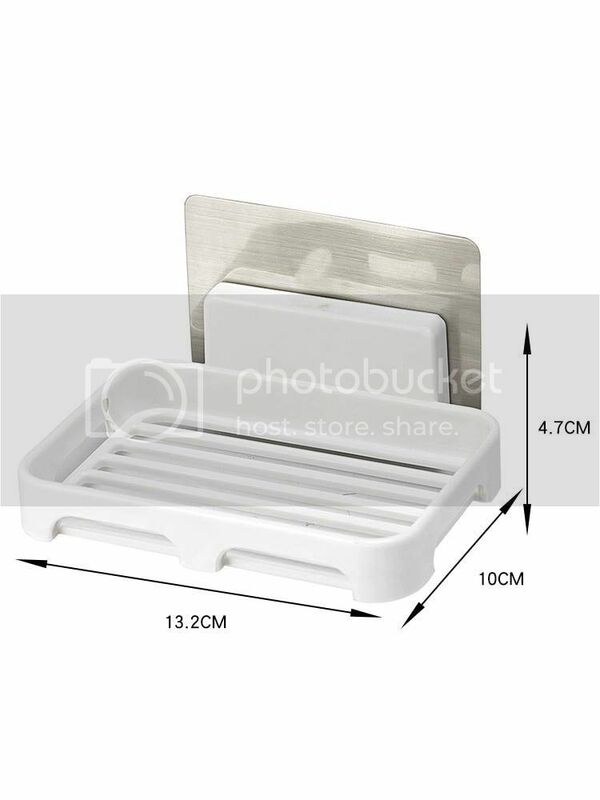 This Soap Tray has High Load-Bearing Capacity and Holds up to 5 Kg. 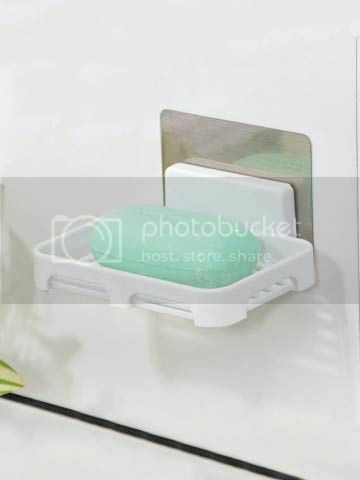 The Bottom Hole Design of this Soap Keeper Organizer Allows Water to Drain Quickly and Helps Keep Soap Dry and Clean. 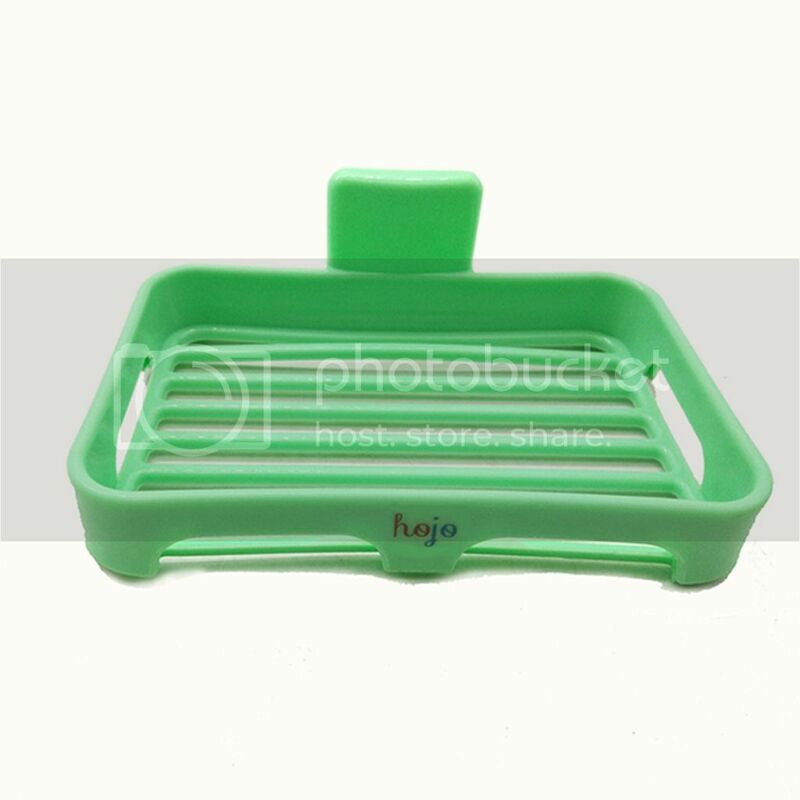 Keep Away from moisture sink, perfect soap saver dish holder make soap stays dry. Avoid breeding ground for bacteria. Excellent soap dish with drain. NEVER FALLS OFF from the Wall Once You Stick It. Sticker's Strong Adhesiveness Protects Against Water and Provides Extra Strength & Durability. * BENEFITS * ? Easy to Install on the wall. No Drilling, No Screws Required. Hence, Cost Effective and also Saves Time. * ? High Load-Bearing Capacity and Holds up to 5KG. Strong Adhesive. NEVER FALLS OFF. Modern Streamlined Design Allow Water to Drain & Help Keeps the Soap Dry, thus Saving the Soap. * ? Multiple Uses. Versatile Holders. Organize Your Kitchen Sink Tools, Sponges, Scrubbers, Household Cleaning Supplies, Bathroom Accessories, Toiletries and even Your Cosmetics.